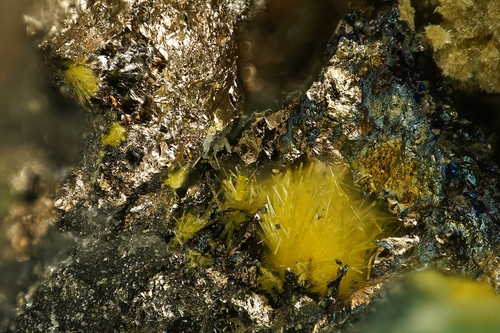 Seelite: Mineral information, data and localities. Named in honor of Paul Seel (8 May 1904, Silesia, Germany - April 1982, Bala Cynwyd, Pennsylvania, USA) and Hildegard (Hilde) Schumann Seel (24 December 1901, Germany - 17 August 1987), husband and wife micro-mineral collectors from Philadelphia, Pennsylvania, USA. 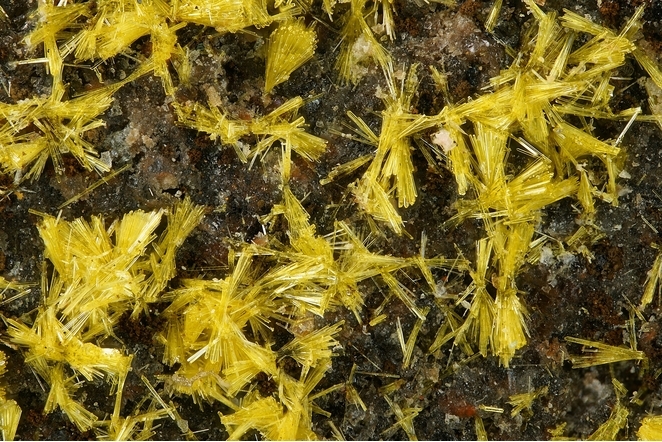 Chemically, seelite is a Mg-dominant, arsenate-bearing analogue of dymkovite. Copper 1 photo of Seelite associated with Copper on mindat.org. Bariand, P., Bachet, B., Brassy, C., Medenbach, O., Deliens, M., Piret, P. (1993) Seelite - a new uranium mineral from the Talmessi mine, Iran, and Rabejac, France, The Mineralogical Record: 24: 463-467. Jambor, J.L., Puziewicz, J. (1993) New mineral names. 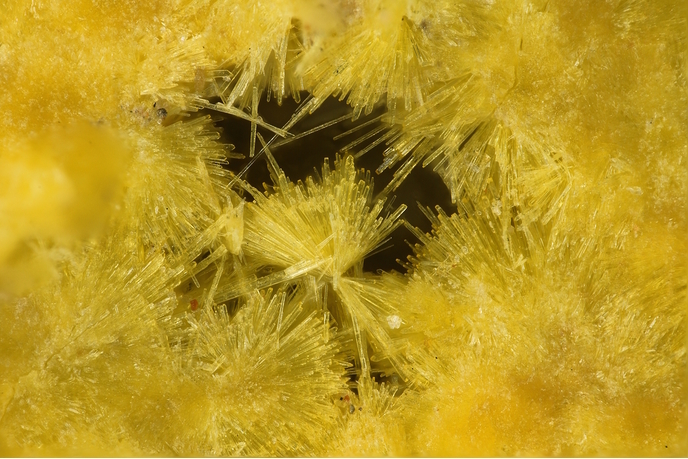 American Mineralogist: 78: 450-455. Bachet, B., Brassy, C., Cousson, A. (1991) Structure of Mg[(UO2)(As(O4)]2·4H2O. Acta Crystallographica: C47: 2013-2015 (in French). Piret, P., Piret-Meunier, J. (1994) Structure de la seelite de Rabejac (France). European Journal of Mineralogy: 6: 673-677. Jambor, J.L., Roberts, A.C., Vanko, D.A. (1994) New mineral names. American Mineralogist: 79: 1009-1014. Le Règne Minéral, Hors Série IV, 1998; Min.Rec. : 24: 463-467.